We welcome you cordially to Ann Arbor Limo! 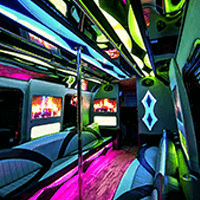 We are the best Limousine and Party Bus provider in the Ann Arbor and surrounding areas. 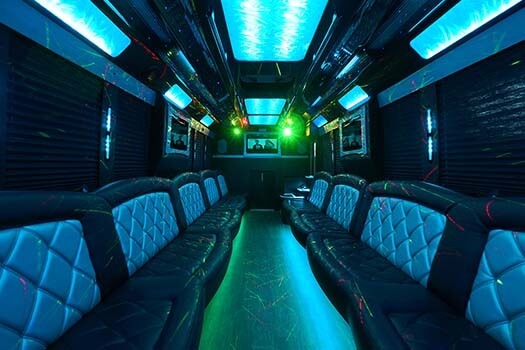 We have the nicest and best selection of Party Buses and Limousines in our area, and offer the best service around! Our vehicles are at your disposal, regardless of the event. 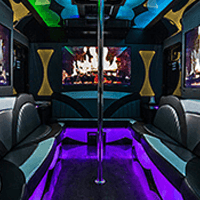 We find that the most popular events that might best utilize a Party Bus or Limo would be weddings, a night out on the town, birthday parties, bachelor and bachelorette parties, sporting events, concerts, and much much more. There hasn't been an event yet, that we couldn't provide top notch service for... We also offer discounts and special packages depending on the time, event, or season. Give us a call at any time! Our number is 734-418-9072. One of our representatives will be happy to provide you with a quote or any other information you might be looking for! As you look though our fleet of vehicles you will see that they are all unique in their own way, & state-of-the-art machines. Designed with interior styles fit for royalty, and equipped for fun, comfort, and the ultimate luxury! 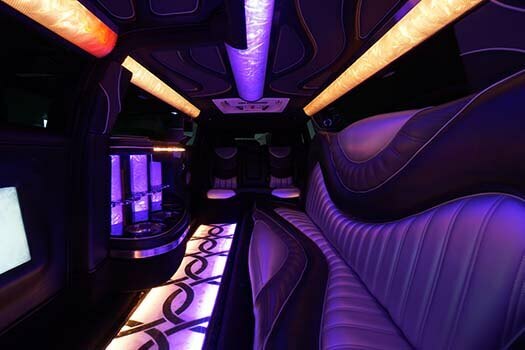 All of our vehicles come equipped with the finest amenities in luxury transportation. 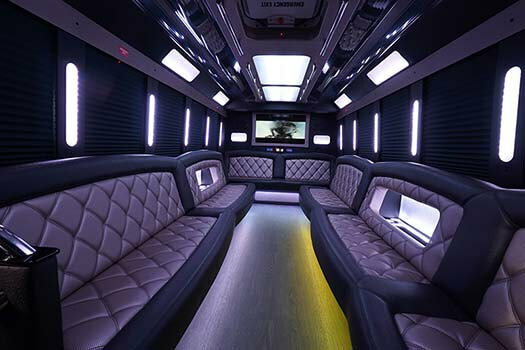 Luxurious leather seating surfaces, concert quality audio systems, CD/iPod/MP3 player, Full-HD Screens, Blu-Ray/DVD, exotic hardwood flooring, dancing poles, and so much more! In our eyes, it's even more important to know the people who are taking care of your vehicle on a day in - day out basis. 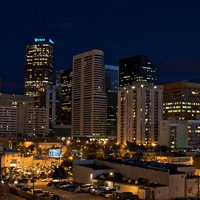 These folks are the ones who will ensure that your rental is in optimal operating condition, and so much less likely to have problems on the day of your event. There are those out there who will run their fleet into the ground... Almost literally. To us, this is the worst sort of way to run a transportation company. We know that you are counting on us, and we want to do everything in our power to mitigate the unlikely occurrence that something may happen to detract from the experience of your day. 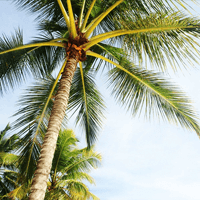 It is because of this philosophical outlook that permeates every ounce of our organization, that we have become the area's first choice in chauffeured luxury transportation. To take this notion a step further, you'll find that our fleet is meticulously cleaned by some of the best porters in the business. Their goal is to be able to provide you and your party a vehicle that will be spotless and fresh for each and every special day you spend with us. There is no wavering on this mantra. Every day, we tirelessly pursue perfection in order to ensure your total and complete satisfaction. If you don't first thing of Ann Arbor Limo when you are considering luxury transportation, we feel that we've not done our job. Put us to the test! Call us now, or check the link below to get more information on what we offer. Luxurious and reliable service for your big day! Your event, your way! That's how a luxury transportation should approach doing business in our field. It's a shame that more do not. 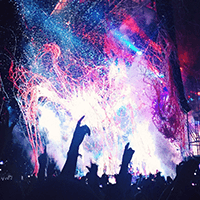 However, you can take heart in knowing that we do, and that providing an unbelievable experience for you and your party in every way is our primary goal. You see, we're in business to ensure you have no worries, and no concerns with regards to travel on your big day... Regardless of what your special occasion might be. As we mentioned above, we have provided our world-class services to an innumerable variety of events throughout our time in business. Commonplace once in a lifetime days like weddings, are our speciality. However, we do not limit ourselves to only these types of functions. We can and have provided our chauffeured rentals to those enjoying concerts, bachelor & bachelorette parties, sporting events, raucous tailgate parties, corporate events, proms, homecomings, and, well - you get the picture. If there's a big day, you can bet we want to help it be the best day possible! Even if it's not a special occasion, hanging out with friends for a bar crawl, brewery & wine tours, and even sightseeing trips can be made that much more special with the addition of the world's finest luxury transportation! You're most welcome to get in touch with us at any time, or feel free to check out the rest of our site if you'd prefer to have more information before getting in touch. Serving Washtenaw County and beyond! 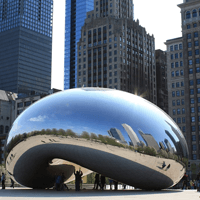 While we primarily serve the immediate Ann Arbor area, you'll find that we are well equipped to provide our first class luxury rentals to an area far beyond the friendly confines of Washtenaw County. We decided early on, that if someone in the Ann Arbor, Jackson, or Metro Detroit area were to reach out to us for the finest experience, it was our goal to provide it if at all possible. For this reason, we've constantly been working to expand our reach in an effort to ensure that if someone gets in touch with us to get the best, that we would make ourselves available to them regardless of where they were in Michigan.